Update (October 13, 2018) : The NSW Nationals have issued a ‘Statement Regarding ‘Alt-Right’ Allegations’ | See also : NSW Young Nationals investigate alt-right ‘infiltration’, suspend new memberships, Jennine Khalik, ABC, October 14, 2018 | NSW Young Nationals expel and suspend members over far-right links, Michael McGowan, The Guardian, October 14, 2018 (‘NSW Nationals leader John Barilaro says party may have been ‘easy target’ for far-right figures’). 1) For ABC Radio National’s ‘Background Briefing’, Alex Mann has investigated ‘how Australia’s alt-right movement is covertly influencing mainstream politics’. See : Haircuts and hate: Inside the rise of Australia’s alt-right (October 14, 2018). 2) ‘The White Rose Society’ has d0xxed a number of the neo-Nazis responsible for infiltrating the Young Nationals in NSW. Future publications will provide further details of those involved, as well as their connections to other neo-Nazi associations, such as Antipodean Resistance and The Lads Society. See : NSW Young Nationals stacked by Clifford Jennings and Neo-Nazis (October 11, 2018). Top (L to R) : Clifford Jennings; Nicholas Walker (AKA ‘Niklaus Velker’); Oscar Tuckfield (AKA ‘Oscar Tuckers’ & ‘Oscar Tucker’); Stuart Churchill (AKA ‘Stuart Durand’); Thomas Brasher (AKA ‘Thomas Hopper’). Bottom : Justin Beulah; Lisa Sandford. 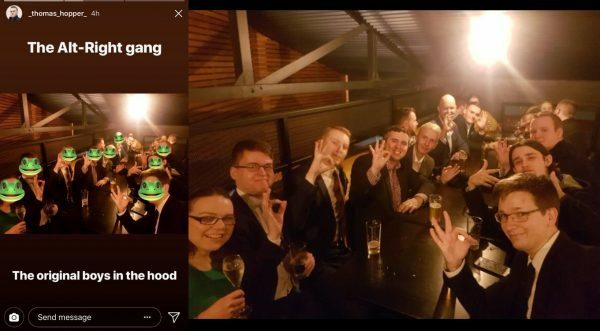 4) Kieren Bennett provides some further context in Radio National investigation reveals neo-Nazi infiltration of the Young Nationals (October 11, 2018). 5) The Australian Jewish Democratic Society has published a statement demanding ‘No more Nazis in the Young Nationals’ (October 11, 2018). This entry was posted in Anti-fascism, State / Politics, Student movement, That's Capitalism!, War on Terror and tagged #DingoTwitter, Alt Right Australia, Antipodean Resistance, Clifford Jennings, DingoCon, Jeff McCormack, Jessica Price-Purnell, Jock Sowter, John Barilaro, Justin Beulah, Lads Society, Lisa Sandford, neo-Nazi, neo-Nazism, Nicholas Walker, Niklaus Velker, NSW Young Nationals, Oscar Tucker, Oscar Tuckers, Oscar Tuckfield, Sarah Mitchell, Siobhan McCarthy, Stuart Churchill, Stuart Durand, The Dingoes, The Lads Society, The White Rose Society, TheDingoes.xyz, Thomas Brasher, Thomas Hopper, Young Nationals, Young Nationals State Executive. Bookmark the permalink. A former Alt-Right Australia member was elected to the Young Nationals State Executive on the weekend amid fears from party members of a Right wing push in the party. Clifford Jennings was elected at the Young Nationals conference in Lismore yesterday as Metropolitan Regional Coordinator where he also moved — unsuccessfully — for the party to resolve to only accept immigration from “culturally compatible nations”. Mr Jennings’ attendance at the conference and that of some of his friends — all new members of the party — almost led to the postponement of the AGM of the party. Outgoing Young Nationals chair Jessica Price-Purnell yesterday expressed concern at a potential takeover of the Young Nationals. “It’s completely repugnant that people with [those] beliefs that has been quite public about it feel it appropriate they can come in and try and take over what’s normally a very reasonable [group] of young people,” Ms Price-Purnell said. Deputy Premier John Barilaro criticised Mr Jennings’ motion in an address to the conference on Saturday and raised concerns about it with Young Nationals members. A federal government staffer, Jeff McCormack, who nominated Mr Jennings for his position, told the executive that if they did not let certain people in the party they could be “sued” so elections went ahead and Mr Jennings was elected. Mr Jennings confirmed to The Australian he had been a member of the “Alt-right” group but said it had been a “long time ago”. He denied any nationalist views and said he had simply supported Donald Trump. A historical Facebook video shows Mr Jennings say that “I created all-right [sic] Australia. We have a podcast on our website thedingoes.xyz, weekly”. Mr Jennings said he had been “big-noting” and no longer had anything to do with that website, which now has links to an “Implicit White Nationalism” website. “I am not affiliated with Alt Right Australia and I totally refute any accusations to that effect,” Mr Jennings said. “I joined the Nationals because I grew up on a flower farm in regional Victoria. “I believe the National Party plays an important role in our political system and I believe they represent my values just like every other member in the party. “The motion I put to the conference was about immigrants wanting to be a part of the Australian way of life and in no way was about race or religion. And New South Wales deputy premier John Barilaro has hit out at far-right members of the NSW Young Nationals who tried to pass a series of anti-immigration motions at the group’s annual conference. The conference, held in Lismore at the weekend, was hijacked by members of the domestic alt-right movement who attempted to pass motions encouraging “immigration from culturally compatible peoples and nations but support strict immigration controls from those who are not”, as well as an annual cap of 100,000 migrant places. While the motions were defeated, alt-right figure Clifford Jennings was elected as the organisation’s metropolitan regional co-ordinator. Addressing the conference, Barilaro invoked the journey of his migrant parents, saying “we are the Australian story”. Outgoing NSW Young Nationals chair Jess Price-Purcell said the immigration debate went “down a path that we shouldn’t been in a business going down”. My son was a groomsman at Justin and Lisa’s wedding yesterday, which I attended as a guest. Mrs Beulah and I had a great chat about how proud we are of the men our sons have grown into. I have only ever voted Labor, my grandfather fought on the Western Front against the Germans in WW1, my great grandfather, Francis Foster, is the only LABOR member to ever have held the seat of New England when he was part of Andrew Fischer’s first Labor Government. Justin has been his best mate since year 2. They are not Nazis, you git. Morons like you really need to get a real life. 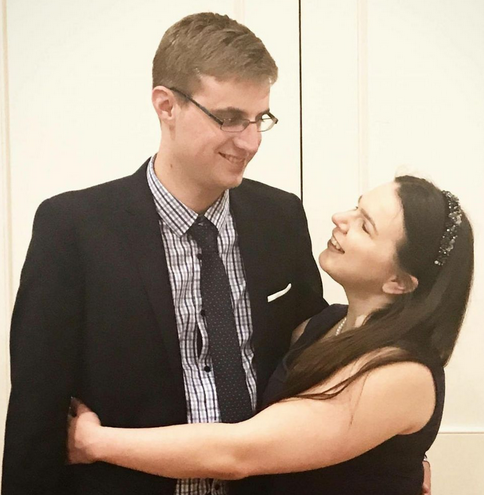 Justin and Lisa are not Nazis, lol, they are classical conservatives, Liberals, which is as far from the Left wing politics espoused by the Nazis as you can get. They are not racist, just white people in a world that does not welcome white people. Good on them for fighting for what they believe in, does not make them Nazis. I think you really ought to learn what the Nazis were, and what their politics were, before you make a complete moron out of yourself. Someone who maintains that the Nazis were leftists is hardly someone whose opinions are worth taking seriously Andrew.